Despite parting ways last year, Legendary Pictures and Warner Bros. studios announced plans to team up (sort of) for a meeting of their most infamous monsters. Well, this is awesome news. 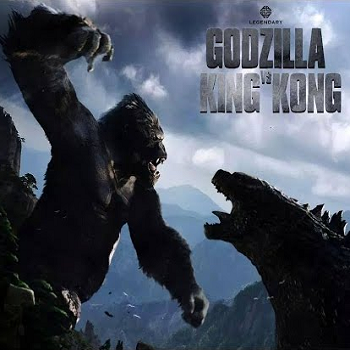 Deadline is reporting that Legendary Pictures -- who parted ways with Warner Bros. last year to team up with Universal -- is shipping their Kong: Skull Island project over to their former partners in order to set up a collaborative "King Kong vs. Godzilla" feature down the line. Legendary head Thomas Tull will be overseeing the transfer, and as part of the agreement, Legendary will also produce sequels to Gareth Edwards' 2014 take on Godzilla, as will Toho, the Japanese company who owns Godzilla. Why all this transferring and whathaveyou? Well, in addition to owning the rights to the new Godzilla franchise (and partnering with Legendary to produce last year's aforementioned smash hit), Warner Bros. just happens to own the rights to King Kong. And while they have previously leased said rights to Paramount to make King Kong (1976) and King Kong Lives (1986), and Universal to make Peter Jackson's 2005 clunker, the Warner Bros. head brass would prefer for the next chapter in the Kong saga to remain under one roof. Specifically, theirs. Hence, this current deal which will benefit both parties. Skull Island is currently still casting, but Tom Hiddleston, Brie Larson and Corey Hawkins are attached to star, and Samuel L. Jackson and John C. Reilly are also being tapped to fill major roles as well. Godzilla 2, is set for a June 8, 2018 release date, but few other details about the picture having been released thus far -- other than that it will bring Mothra, Rodan and King Ghidorah into the mix. Even though this is dipping dangerously close to MCU-level planning/teasing, this is incredible news that any fan of either franchise should be amped to hear. In fact, I think there's only one way to celebrate this...with the punishing music of Gojira and this clip from the 1962 classic, King Kong vs. Godzilla, which remains one of my favorite movies of all time. More on this colossal story as it develops.